History: If you find yourself perusing the pages of The Undersea Adventures of Captain Eli, just know the super hero comic you’re reading was ultimately created with the end goal of quenching your thirst and not satisfying your insatiable appetite for deep sea justice. Despite my pompous language, I didn’t make that up. Capt’n Eli’s Soda really does have a comic named after it, introduced in the early 2000’s for marketing purposes. But the soda’s history dates much farther back than the comic. 80 years earlier in the early 1920’s, little Eli Forsley would wander down in his father’s basement and steal some of his dad’s homemade root beer. In turn, he’d sell it to his friends for a profit. When Eli grew up, he started making root beer in his basement too. Sure enough, one of his five sons, Fred, grew up with an affinity for the root beer. Fun fact: Fred’s son (coincidentally named Eli) is the model for the comic’s lead character. Fred was an entrepreneur like his father. In 1992, he founded Federal Jack’s restaurant in Kennebunk, Maine and two years later, he and a partner started up Shipyard Brewing in Portland, Maine. You might know Shipyard for its highly popular “Pumpkinhead” pumpkin beer. In 1996, Forsley started serving the root beer on draft at Federal Jack’s. Current Capt’n Eli’s President Ed Crockett recalls how “the local folks raved about it.” The next logical step was bottling. This happened in 2002. And yadda, yadda, yadda, 15 years later the company now has eight flavors after just recently introducing a cola in June of 2015 to replace the now discontinued Parrot Punch. It’s so new, it’s not even on the website yet. But we’re not here to talk about root beer or cola or even my love life because that’s what my therapist is for. No, we are here to talk about Capt’n Eli’s Orange Pop. “When we drafted that recipe, we wanted to be different,” Crockett says. The company wanted an orange soda that felt refreshing instead of sugary and quenching instead of syrupy. 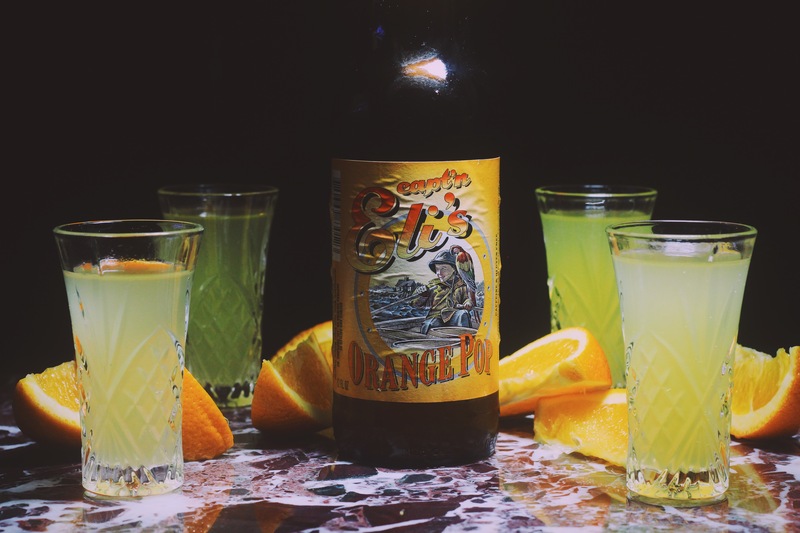 Crockett tells us Capt’n Eli’s Orange Pop was directly inspired by Orangina. Like Orangina, you can see bits of pulp floating about in the soda. 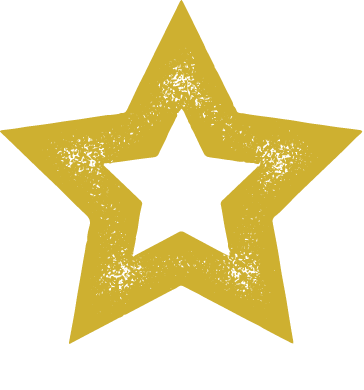 It also contains no caffeine, gluten or food coloring, and is made with pure cane sugar. What we’re trying to say is that Orange Pop is a classic flavor designed with a slightly different spin. Time to wade the deep orange waters Capt’n Eli patrols. Where to get: Capt’n Eli’s Soda is distributed nationally, but is most widely available in retailers along the eastern seaboard. You can also purchase the soda online from Summit City Soda, as well as the Capt’n Eli’s online store. For large orders, and especially if you’re a retailer hoping to sell soda in your store, contact Homer Soda Company. Nose: Fresh orange rind zest. Taste: Orange; slight tart bite; mild tangerine. There’s a definite authentic orange flavor to this. Tastes fresher than most orange sodas. You get zesty, carbonated orange up front with a semisweet tart finish. 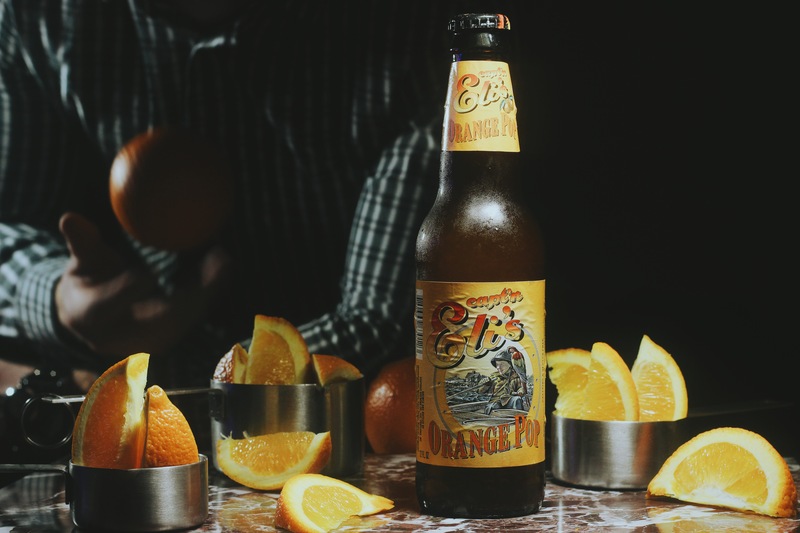 In the background, there’s definitely a little bit of a tangerine taste – slightly sweeter than regular orange with more of an exotic flavor. The more you drink this, the more acidic it becomes. That classic orange soda zing becomes louder and louder on the palate. Overall, not quite as sweet as most orange sodas, but closely related to a classic orange with more of an authentic taste and a bit of zip. Finish: Full-bodied orange zest flavor with a tartness that sinks into the back of the tongue. Rating: Capt’n Eli’s Orange Pop is a close relative of your classic orange soda, but it clearly got all the better genes in the family. The orange flavor tastes real and bold. It’s not overly sweet or carbonated. 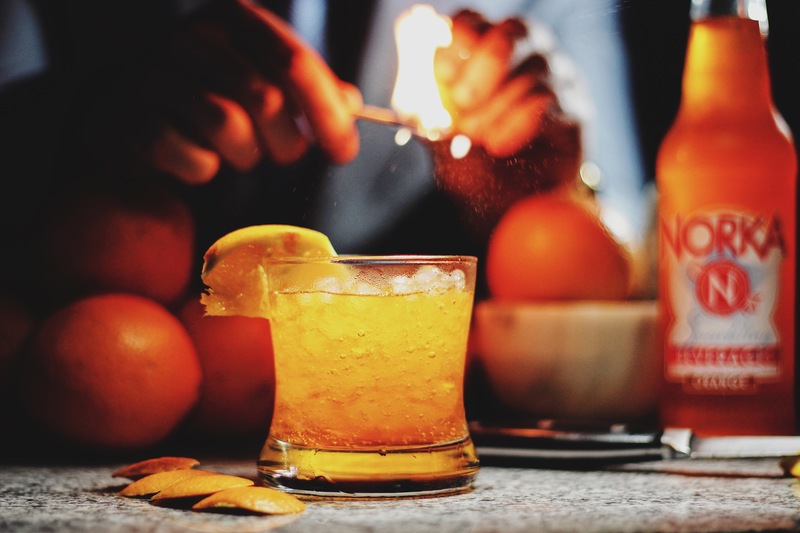 The bite is zesty and slightly acidic in a way that is fitting of high-end orange soda. This really tastes like a craft soda. You can tell you’re drinking something of higher quality. The notes of tangerine add even more sophistication. All of these qualities elevate Capt’n Eli’s Orange Pop in the orange soda category. Crocket told us Orange Pop is actually the company’s lowest-selling flavor. I think that’s crazy. This is a diamond in the rough. This is an orange soda from which other orange sodas should watch and learn. Just don’t do it every day. That’s stalking. The bottom line is that this tastes like an orange soda you’re familiar with, but better. It’s comfortable, yet intriguing. It is a little more tart than a lot of orange sodas out there. I think that could either be dialed back a bit or the sugar levels could be slightly increased. 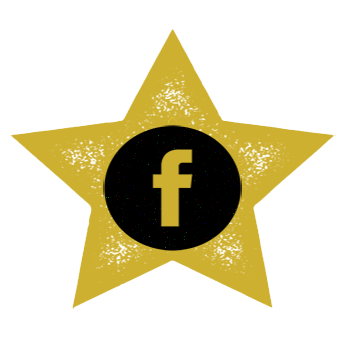 That knocks it down from five stars, but overall, this is tops. Flavorful and zesty. This is a must-try orange soda. History: Route 66 is arguably the most iconic stretch of road in the history of America. Officially replaced in totality by the current interstate system in 1985, its legacy lives on in many forms, from song to soda. “I know nothing about running a soda business, but I’m running it,” Alan Bruggeman says comically over the phone. Bruggeman, a lawyer, is the current owner of Route 66 Soda, based out of Wilmington, Illinois. Bruggeman purchased the business with a group of investors in 2006 from his friend Larry. The brand originated in 1996 after Larry consulted with Bruggeman’s mutual friend Scott Cameron. Cameron was an agent for several older blues musicians who remembered the nostalgia of glass-bottled soda working on the road along Route 66. Long story short, the two sought to recapture both the old-time feel of soda from the 20’s and 30’s while honoring the historic landmark highway. Cameron passed away in February of 2015, so Bruggeman took over the operation. You’ll notice several famous Route 66 landmarks scattered across the bottles, including Dead Man’s Curve, Chain of Rocks Bridge, and the Wigwam Village Motel. The soda’s popularity is certainly on the rise. According to Bruggeman, Route 66 Soda is looking to double its production this year in addition to expanding its market reach. The company is currently in negotiations with a large national chain whose name was kept secret from us of over 300 stores. There’s even international interest. Bruggeman notes Route 66 soda is distributed in both Canada and Cyprus, with South Korea interested. The power of American culture, ladies and gentlemen. For the real sugar purists, fear not, Route 66 switched their recipes to pure cane sugar in 2011. Their etched glass bottles stand out amongst the crowded craft soda market place. Route 66 actually won the 2010 Clear Choice Award by the Glass Bottle Institute. Yes, that’s a real thing. 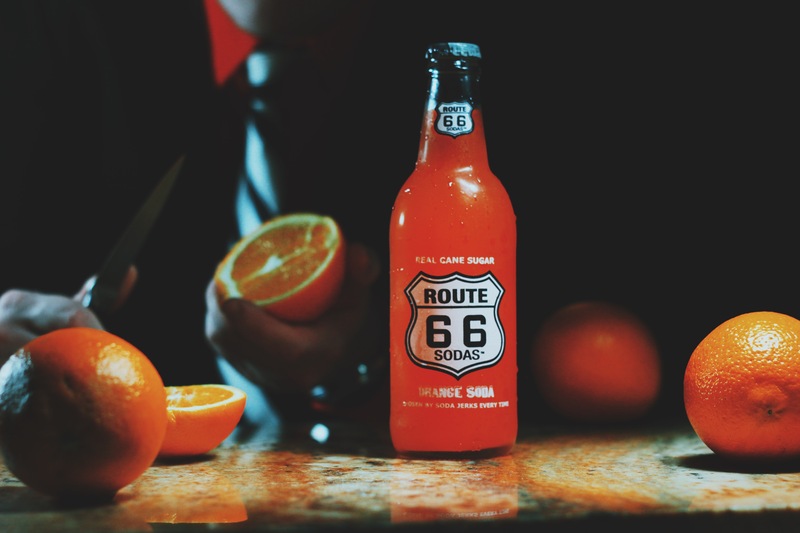 The company produces five flavors: Route 66 Route Beer, Cream Soda, Black Cherry, Lime and Orange in order of popularity. I always got picked last in kickball in elementary school, so we went with their orange soda. Bruggeman adds, “The flavors are old fashioned like they used to be. I haven’t had anyone taste our sodas and say they didn’t like it.” Take that for what it’s worth7. 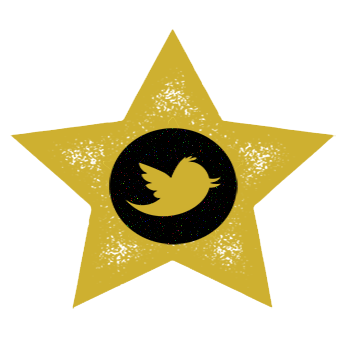 We valued the opinion enough to give it a shot. 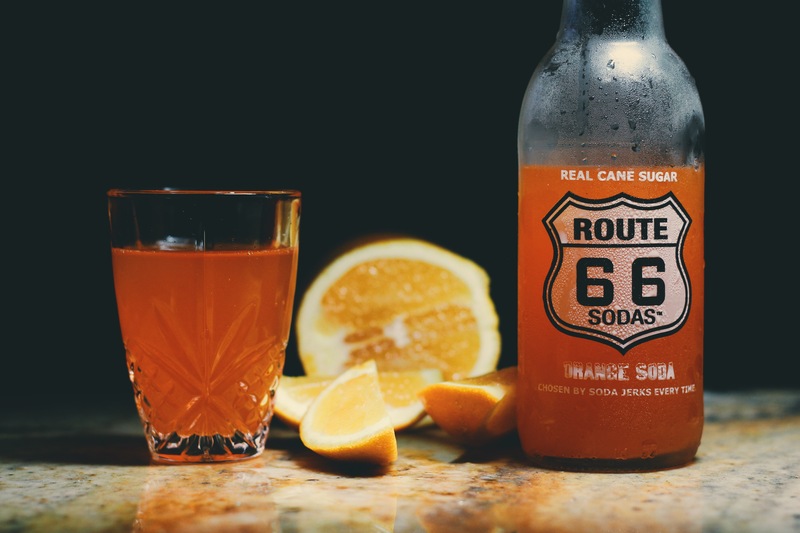 Where to get: Route 66 Sodas are distributed sporadically throughout the country with a majority of availability in the midwest. I know that does nothing for you, so order it online in your underwear at Summit City Soda or Soda Emporium. Nose: Orange Lifesavers; bold candy orange. Taste: Orange Lifesavers; tangerine; mild orange. This has a very distinctive flavor, but that flavor is more tangerine than orange. This is a bold soda. It has a distinctive rich, sweet tangerine flavors with subtle notes of orange hard candies. Not tart at all. The carbonation is very light and small. The sugar is distinct and coats the edges of the tongue as the tangerine citrus flows down the middle. Definitely not what you’ll probably be expecting. Not a traditional orange soda. Finish: Mild acidic tangerine notes. Not much a difference from the soda’s body. Rating: For a line of soda’s named after a highway in the middle of good ole America, Route 66’s Orange Soda tastes slightly exotic. In our opinion, it’s flavor is distinctively tangerine rather than orange. There are some subtle candy orange flavors that float about, but the richness and sweetness of the tangerine really come through in the flavor profile. Tangerines are generally bolder and sweeter in flavor than orange, which are sweet, yet tart. This soda possesses no tartness. To some, that will be an immediate draw. Others like an orange soda that bites back. You won’t find that here. 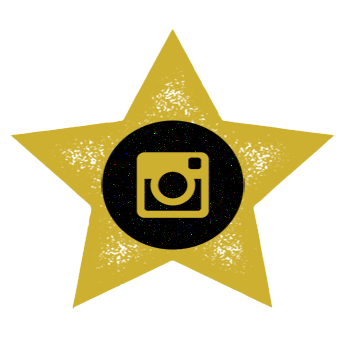 This is surprisingly nontraditional. There’s certainly some familiar orange soda flavor in here, but if you’re familiar with the taste of a tangerine, you’ll understand this review much better. If this was called tangerine soda, it’d be four stars. 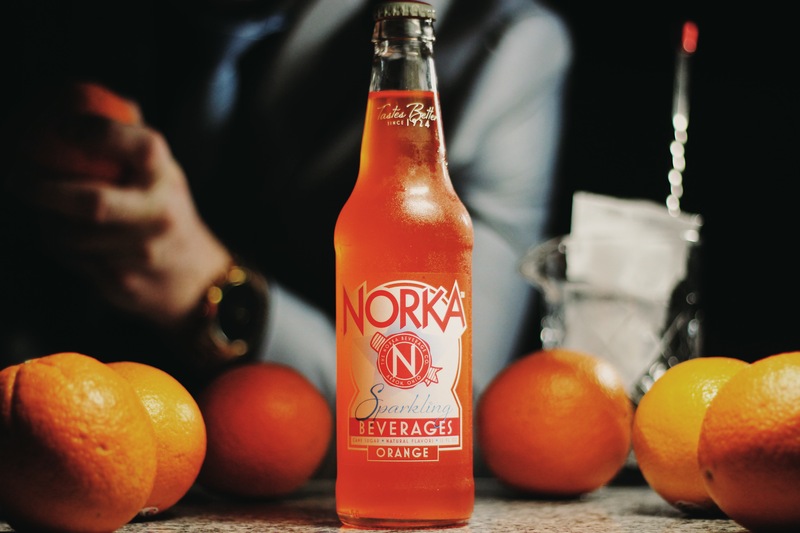 If you’re up for an orange soda that’s off the beaten path, this is worth a try. We’re certainly intrigued by this offering from Route 66. It’s a brand that seems to be worth investigating. We’ll report back when we know more.